We’ve visited the Flavor Game topic before, in the July edition where we delighted in Pimm’s Popsicles and some amazing and strange Oreo flavors. In this edition of “Really Neat Things,” we’re re-visiting the realm of the Oreo, but first… NUTS! 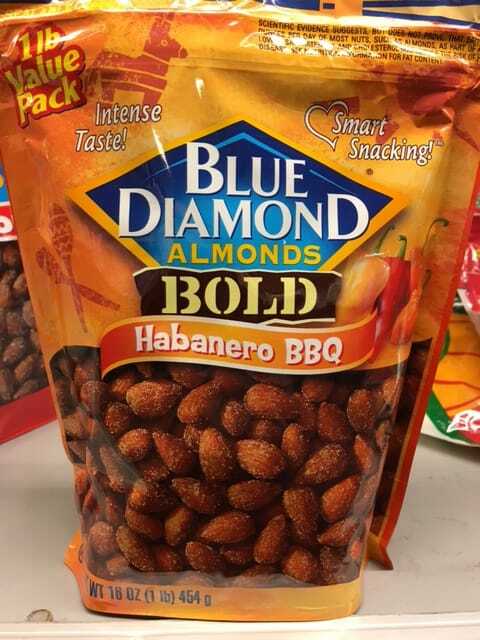 It seems that one of my favorite snacks (almonds!) have been getting into the Flavor Game, too. 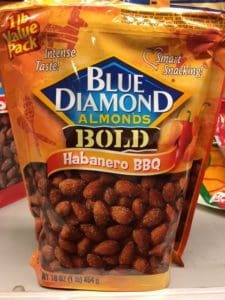 While at the grocery store recently, I came across Blue Diamond’s latest foray into flavoring almonds under their BOLD brand: Habañero BBQ. I had already become addicted to the highly savory Wasabi & Soy Sauce. But this was worth a shot, since I also happen to be a huge fan of the barbecue chip. Not all things barbecue, mind you. Just the chip. Now, who has come up with a way to up the ante on the Flavor Game? None other than the Oreo people. 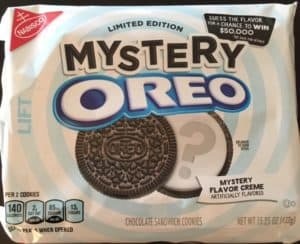 They’ve come out with a mystery wrapped in an Oreo. Has anyone seen/bought/tried/guessed this yet? I did, and it was an elusive taste, but an Oreo enthusiast I know (make that an enthusiastic junk food generalist) pointed out to me what it was, and yes, it seems right. 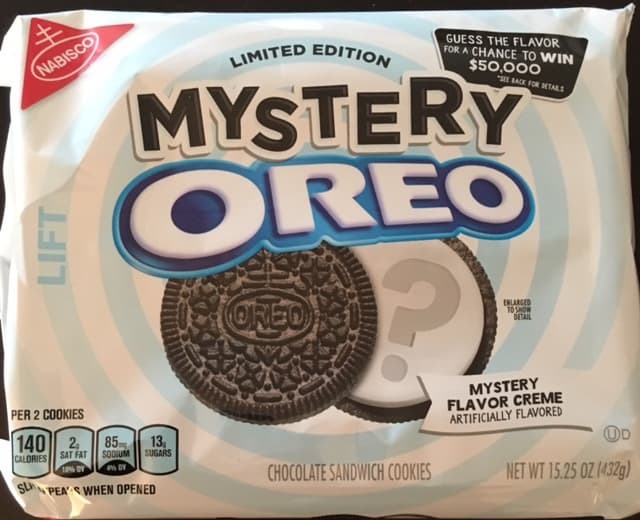 I can’t stand in judgment of the mystery Oreo with full certainty. Maybe someone else out there can. If so, get your suggestion in there. You could even be a lucky winner of a lot of money, according to the back panel.